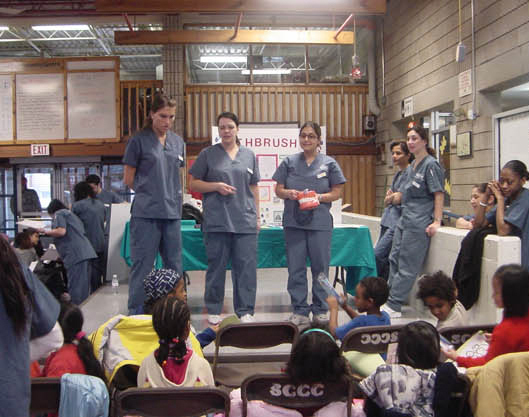 Scadding Court Community Centre offers numerous health promotion services, many of which are free. Physician is available on a part-time basis to provide culturally sensitive primary care to community members. Patients from all cultures are welcome, however those that are not able to communicate in English, Cantonese or Mandarin should come with an interpreter/ translator. For more information or to book an appointment, please call 416-392-0335. Encourages and promotes an integrated approach of physical movement skills to be continued at home. In partnership with the Opthamology and Audiology Departments of Mount Sinai Hospital, the Clinic offers free eye and ear screening for seniors (age 65 and over) during the summer and fall of each year. 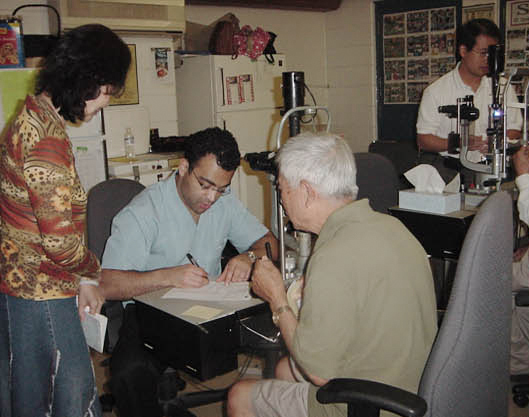 Doctors screen seniors for hearing loss and for eye diseases such as glaucoma and provide referrals for treatment. They do NOT offer prescription for purchasing glasses. Interpreters are available for Cantonese and Mandarin. For more information, to find out the screening dates and to make an appointment, please call 416-392-0335 ext. 246 or 227. Clinic will be held on fixed dates in partnership with Mount Sinai Hospital. Place: Scadding Court Community Centre, 707 Dundas St. West, Toronto (Southeast Corner of Dundas and Bathurst).